Q: Hi Valeriya! Thank you for joining us today. Can you tell us more about yourself and the Cryogen project? A: Actually, I am an expert in cryonics and manage the 3rd largest cryonics company in the world “KrioRus” for 9 years. This company is the base for the CryoGen project. That is, CryoGen is not created by a group of newcomers, but by professionals. The idea to hold ICO belongs to me. It was supported by many of our friends from Russia and other countries. 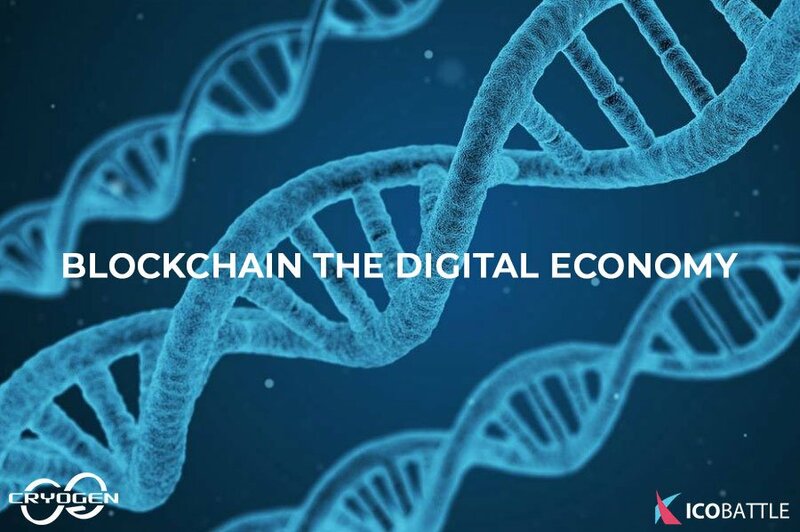 For us, blockchain the digital economy are absolutely natural and the only possible future. And the project itself … We want to make a revolution in the world and save those people who are not yet able to save modern medicine. Q: Could you describe your job role as CEO of Cryogen? A: Now I have a completely terrible time. My job as general director of cryonics company “KrioRus” has not been canceled, and there is now just an exponential growth. Heavy. And there is a lot to do with ICO. Basically, I solve personnel issues and strategic marketing issues. The plans of the CrioGen project are clear, detailed. Therefore, at the moment, we are focused on collecting finance. Q: Could you briefly explain cryonics and its current and potential uses? A: Cryonics is a technology for the long-term preservation of humans and animals in a state of deep cooling with the intention of their resurrection and medical treatment, if necessary, at some future time. This technology will be used for reversible freezing of donor organs. In the future, cryonics is expected to be used for space anabiosis, i.e. for space flights over long distances. CryoGen project will use the most breakthrough scientific advances. Q: In 2019 you plan to start experiments on reversible cryopreservation of animal organs. Are experiments of cryopreservation reversal a novelty? A:Of course not! Cryobiology is a science that has been developing rapidly since the 19th century, it is a large branch of scientific work. Freezing sperm, embryos, parts of plants, various cells – all this is cryobiology already knows how to freeze (without damage). Many scientists around the world are trying to create a technology of reversible organ freezing now. This will be followed by reversible cryoconservation (as it is called in the scientific language) of whole organisms of mammals, including humans. We, our scientists, are also among the pioneers of this trend. We have an excellent team, and we hope to make a big contribution to these studies. It’s like with the cosmos: The principle of jet propulsion was invented by Konstantin Tsiolkovsky, and the space industry is now being created in many countries. Q: How close do you think we are from successful cryopreservation reversal in humans? Q: What is the Cryotoken? A: The Cryo token is a utility token, accepted for purchase of all available services at CryoGen. Each Cryo token is equivalent to one dollar (ICO price). 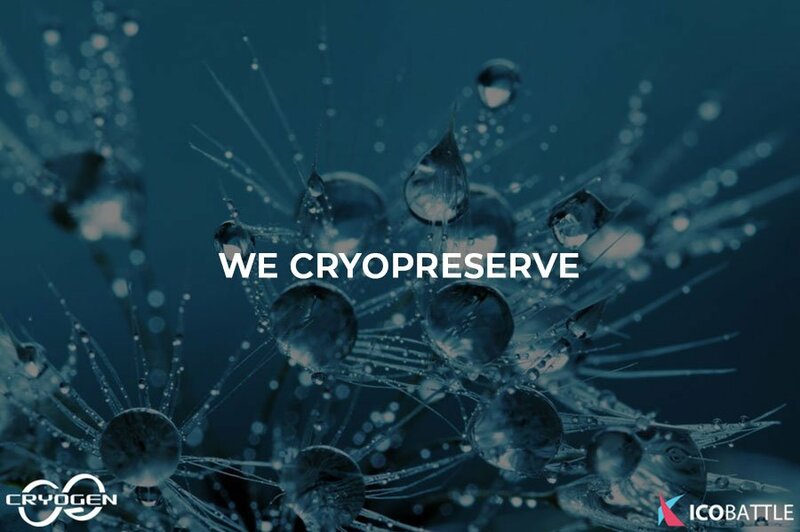 Today, the CRYO tokens may be used for the purchase of (prices specified with a 10% discount): DNA preservation – 800 CRYO; Neuropreservation – 16 200 CRYO for people living abroad and 13 500 for those permanently living in the Russian Federation; Transportation – 3000-9000 CRYO; Whole body cryopreservation (fill-body) – 32 400 CRYO; Animal cryopreservation – 9 000 – 32 400 CRYO (depending mainly on the size of the animal); Standby services (standing by the bedside of a patient) – 45 000 – 90 000 CRYO; Launching cryonics patients into space: starting at – от 180 000 CRYO. Q: Tell us about the token presale politics (dates, terms, discount)? 1. Private Placement, during which, interested parties can purchase the service of the company under special conditions. Dates: October 17 – November 9. 2. Pre-ICO, during which tokens will be provided with a 30% and 25 % discount. The 1st stage of Pre-ICO started on November 7, 2017 and ended on January 1, 2018. At the 1st stage, we gave a 30% discount on our token. The second stage of Pre-ICO takes place from January 1, 2018 until February 1, 2018. At the 2nd stage, we give a 25% discount to our token. During Pre-ICO will be issued 500,000 tokens (soft-cap) or 1,000,000 tokens (hard cap). 3. ICO – It will end on the 1st of July. Now, at the last stage of ISO, you can get a 5% bonus. Of course, for large investors we have special conditions. Q: Talk a bit about this business model. How does it work? Q: What were your best and your worst moments so far working on Cryogen? Q: What about competition? Are there other cryptocurrency/blockchain projects that are focused on cryonics? A: As far as I know, there are no such cryptocurrency/blockchain projects. In general, the community of cryonics supporters is somewhat conservative at the moment. There are many elderly people – the first enthusiasts, who are already old. But now more and more young people understand the correctness of cryonics, sign agreements for themselves, for old parents. I had many times to talk about cryonics and our project at various events dedicated to cryptocurrency and blockade. In general, cryptocommunity is very enthusiastic about cryonics. 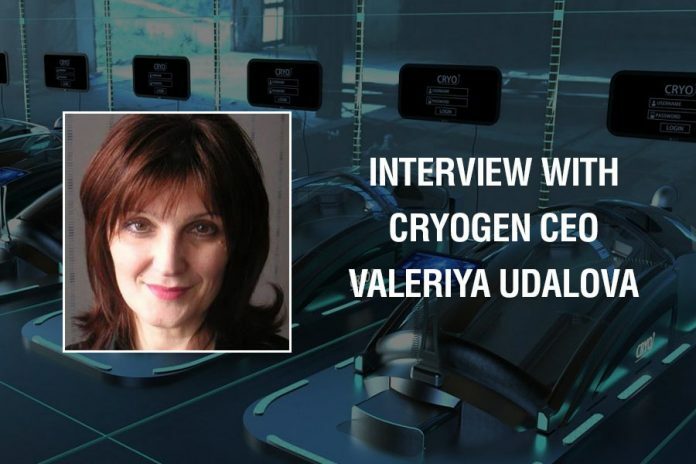 Q: What do you think is the biggest challenge or obstacle Cryogen will face? How do you plan to tackle that challenge? A: We always have two problems: lack of funds for all our projects (no matter how we earn money, dreams always go ahead of opportunities) and unwillingness of people to think about their future death. We used to work in such conditions. We simply will continue to work and conduct a lot of explanatory work. In general, we do not concentrate on difficulties at all, we concentrate on opportunities. Now the main thing: to buy a building for a large cryocenter in Russia (we are already in the process of buying). Under its construction, we attracted 8 M dollars. In Russia there are a lot of our customers, 70%. Also there are excellent scientists, and doing experiments in Russia is much cheaper than in Europe. At the same time, we will open a non-profit organization “CryoGen” in Switzerland. It is she who will provide contracts for cryonics at a discount, for cryptocurrency. Also we are already working on the purchase of cryogenic storage in Switzerland. In Europe there is a huge unmet demand for quality cryonics. We started an incredible European project in Switzerland. But I can not tell you any more – a commercial secret. Next articleTNcoin Interview with Fund Manager Luis A. del Mazo, Jr.